What would they say at Harvard Business School if you said you had developed a product for everyone? Well, at Trans4mind we have developed a single training product that has been designed for every adult in every part of the world. 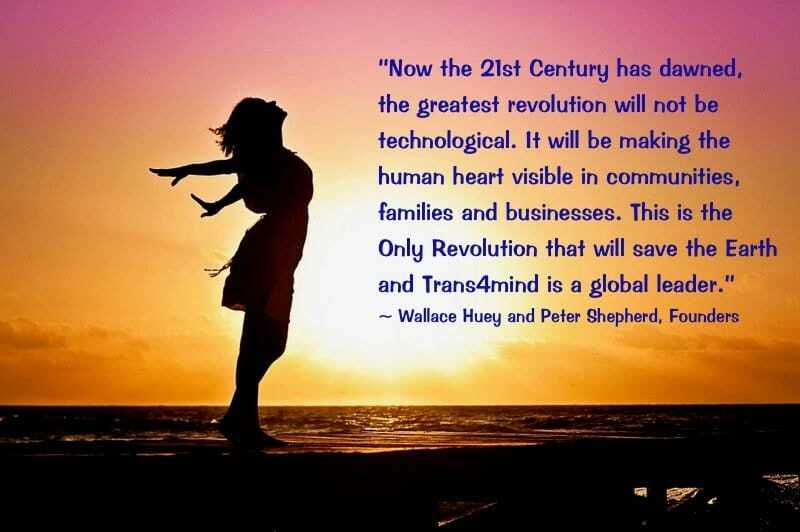 Our training product, Trans4mind Training, is the world’s only whole person, whole life, online personal development training. This training product is based on the 29 life challenges, arrived at after 4 years research, that are common to every human being. That’s why it has universal appeal and a universal application. Like the iPhone, it is our “Product for Everyone”. Plus in the finished product we will be including 17 additional life challenge workshops, offered as a follow on to interested participants, that are more advanced, high level workshops, to complete a service that caters for the totality of a trainee's personal development, with a greater emphasis on the more intangible values of life. Now this approach flies in the face of conventional wisdom, which says you have to specialize in order to have a market that can reliably generate customers. And we do specialize. We specialize in the way we communicate about our product to the many different markets it serves, but the product itself is the same. So the model is - we have one singular superlative online personal development product, communicated in a variety of ways that suit each market segment, and offer it worldwide. So what are these different markets? The Purely Online Market accessed through collaborations with other online training services. And these markets can be further segmented and our communications further specialized. But always offering the one, singular, high quality online personal development training. Eventually of course by developing our training product in different languages, we will also be able to deliver into all the world’s markets. Human beings are singular, whole and complete. It never made sense to us to offer a fragmented approach to personal development. Great breakthroughs are nearly always accompanied by a key insight, usually from the Founders, of a way of perceiving the delivery of a service in an original way. This perception then becomes the driving force that builds a global company. And by flying in the face of conventional wisdom, we have designed a product for everyone. Now we are ready to develop communications strategies to all these separate markets so we can take our singular exemplary product out to the whole planet. To see the three markets we are working in today and to understand how we communicate differently to each of these markets go to trans4mindtraining.net.